You are currently browsing the daily archive for March 8, 2019. A Catholic fourth grader in the Davis School District of Bountiful, Utah received a harsh lesson in tolerance and inclusivity in the public school environment this week, demonstrating the increasing hostility toward professing Christians in the public square. In post-Christian America, even the smallest demonstration of faith becomes an act of microaggression and hate that must be sanitized and stamped out. This is exactly the experience of William McLeod, a little boy who came to class this week with an apparently hideously offensive symbol smeared onto his forehead: an ashen cross, commemorating Ash Wednesday and the beginning of Lent. When McLeod got to school that day, he quickly realized that he was the only one of his class bearing the symbol, but the young man was happy to entertain his classmates’ questions about it. “A lot of students asked me what it is. I said, ‘I’m Catholic. It’s the first day of Lent. 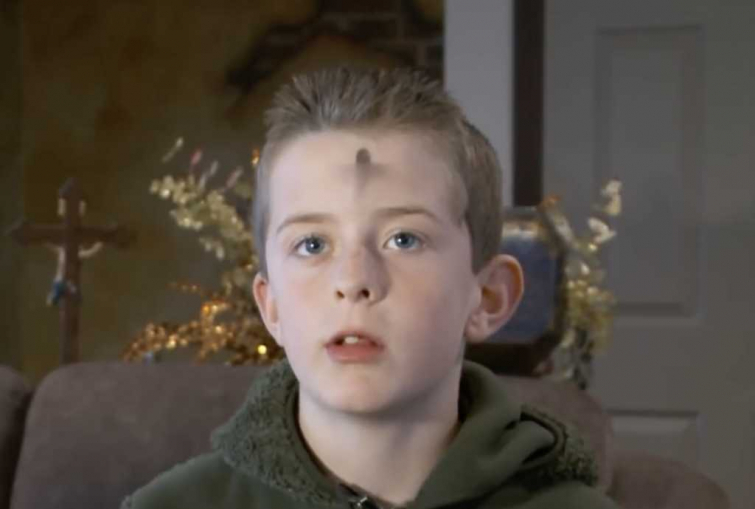 It’s Ash Wednesday,’” William recounted to Fox 13. While his interactions with his peers seemed to be going fine—in spite of committing the academic capital crime of standing out and being different—McLeod’s teacher abruptly marched over to the boy’s desk and demanded that he wipe off the cross. McLeod attempted to explain the importance of wearing the ashes to his teacher, but to no avail. The fourth grader found out that day precisely how unwelcome even the most subtle public displays of Christian faith are in many public schools, including his own. To be clear, the adversarial attitude toward Christianity belonged solely to that particular teacher, as the administration has been quick to clean up the incident and offer apologies and investigations. In fact, upon learning of the incident, the school’s principal made a call to William’s family to apologize. “I was pretty upset,” said Karen Fisher, William’s grandmother, who says she also received a call from the teacher who forced him to remove the ashes. “I asked [the teacher] if she read the Constitution with the First Amendment, and she said, no,” Fisher recalled in frustration. Had the teacher been aware of perhaps one of the greatest laws of the country in which she teaches children, she might have known that public institutions are prohibited from establishing or preventing the free exercise of anyone’s religion. For their part, the Davis School District is apologizing for the unacceptable incident and declaring that students of all faiths should feel welcomed there. The district is reportedly “taking this incident seriously” and conducting an investigation.